Jason joined Brokers’ Service Marketing Group in 2000 and in his current role as CEO, oversees all sales & marketing related activities at BSMG. Prior to joining BSMG, Jason was employed by MFS Investment Management. He is currently a member of the Financial Planning Association of Rhode Island, the Rhode Island Estate Planning Council, and sits on the NAILBA board as treasurer as well as the BRAMCO board. Jason also served on the membership committee of the Boston Estate Planning Council and is Past President of the Rhode Island Society of Financial Service Professionals. 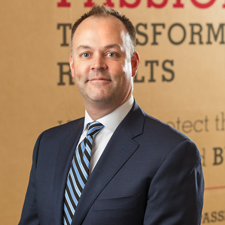 A graduate of Davidson College with a Bachelor of Science degree in Economics, Jason has also earned his CFP® designation, is a licensed insurance agent, and is FINRA registered series 6 and 63.